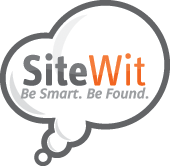 We've partnered with SiteWit to make paid search marketing easier for our clients. I've been running adwords campaigns on Google for years. Adwords are simply a necessary part of doing business online. And if you've tried Google Adwords, my suspicion is that your experience has been like mine– dry and lacking flavor. Let's face it, Google Adwords can be technically challenging and at times frustrating to implement. And even with all of the hours I've spent discussing my campaigns with the Google Adwords folks by phone, I've always felt as though I was missing something; or frankly, simply didn't' have enough time to manage the complexity of the search engine marketing process. Provides a secure location for setting up and managing services for individual website owners. The automated SiteWit keywords recommendations process helps clients focus on what's important keywords wise over time. Eliminates many of the $$$ surprises that can occur when setting up a new search engine marketing campaign. SiteWit includes the option to market to other search engines, like Yahoo and Bing, which can save a lot of time and frustration particularly when managing separate campaigns. For me, this was key. And if you like how responsive TVCNet is support wise, I believe you'll find a kindred spirit in SiteWit. In need of an intro video? Well, here you go. Two minutes of introduction for you more visual folks. See the new SiteWit search engine navigation bar. Then follow the simply onscreen instructions to sign up, and setup your Ads campaign with Google, Yahoo, and Bing today. SiteWit - Do you have five minutes? Provide company information – name, website, etc.Identify the campaign goal – generate leads or transactions.Tell us about the products and/or services your company provides.What is your geographic focus – national, state or local. Open an account with each individual search engine that you would like to run a campaign on.Steps 2-4 will need to be completed individually for each search engine.Ongoing monitoring will need to be done for each campaign on a weekly basis. One by one, SiteWit displays a keyword or keyword phrase. You simply rate it one to four stars based on your business knowledge and what you think will drive traffic.SiteWit continuously combs through both your campaign and website data to identify the keywords that are driving results and engagement, as well as new keywords that might be relevant to add to the campaign. Create a list of keywords from scratch of what might drive traffic to your site. Look for both mass and long tail keywords.Create a list of negative keywords to include.Create “ad groups” by grouping “like” keywords.Define the match type for each keyword – broad, phrase or exact.Set a maximum amount per keyword that you’re willing to pay based on its popularity & your budget. SiteWit provides a list of ad copy and call to actions that you can choose from or you can write your own.SiteWit automatically sets up a/b tests to identify which ads are performing better. Create at least one compelling ad for each group of keywords – make sure they include at least one of the keywords in your ad group.Create the call to action for each group of keywords.Designate a destination URL for each ad group. Select your monthly budget and search engine(s) for your campaign to run on.SiteWit automatically optimizes your budget across your campaign to ensure it runs the entire month. Define your budget and then determine how it will be distributed between search engines, keywords, Ads, geography, time (day vs. night). 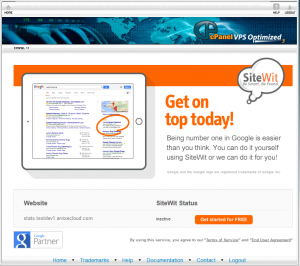 Each time you open your dashboard, SiteWit provides a simple and easy to understand overview. In addition, we’ll also provide recommendations on new keywords that might be beneficial to ad to your campaign. You simply rate or select them as you did during your campaign set-up. Track keyword performance by looking at click-through rates (CTRs), costs per click.Perform manual A/B testing to drive the best traffic.Check keyword bids and raise those that are performing well; lower those that are not; and pause poor performers.Research new keywords to add to your account; identify negative keywords to add as well.Bid strategically to optimize your spendRefine ads & rewrite those that are performing poor.